Aprille got me signed up for the 30 Days of Creativity challenge. 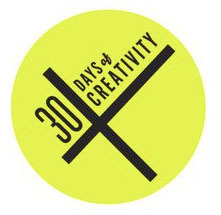 It's an online campaign to get people to create stuff everyday for 30 days in June. You can follow the tweets on @createstuff and the stuff people create on the Pinterest boards. 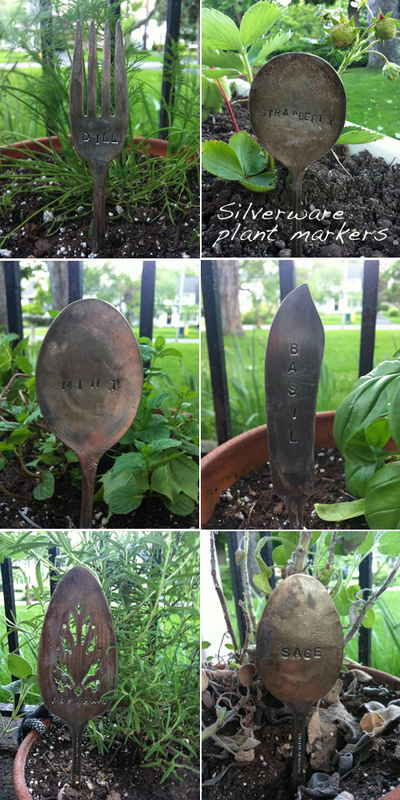 For Day 1, I started off with a bang - I made silverware plant markers for my newly planted herbs and strawberries. I'm a little nervous about falling on the fork one. I pity the fool that comes after your basil! Mini sword straight to the heart! Ha! Ha! Exactly what Shannon said! I used little metal letter stamps. They look like rubber stamps but made of metal and you pound them into the silverware using a hammer.